Anti-Flu Soup. The health benefits of this soup are far greater than the classic chicken soup elixir most of us were brought up with, that really never worked. 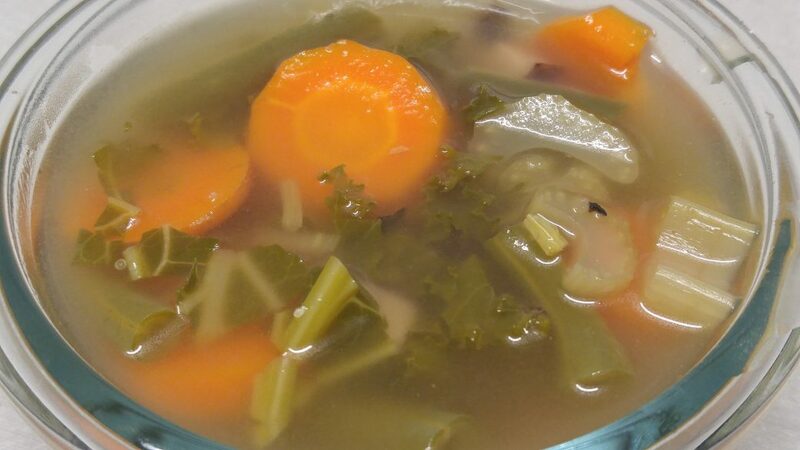 I use this one-pot soup combination in addition to my rainbow salads & increased fruit intake during flu season or when there is a “bug” going around. This soup is not only an immune builder with high levels of antioxidants but also very anti-inflammatory. Soothing on the tummy, comforting during cold weather and super delicious. I never get the flu or the common cold. Increased hand washing frequency can make a huge difference during flu season as well. Also, a great time to disinfect doorknobs, appliance touch points, counters, electronic devices such as keyboards, mice, cell phone, remote controls etc. Combine all of the ingredients in a medium pot, bring to a boil, then simmer covered with the lid vented for about 15 minutes.